Named one of the happiest cities in the United States by National Geographic, Provo, UT, is a city brimming with incredible outdoor recreation opportunities. The city is surrounded by both the Wasatch Front Mountains and Utah Lake, offering plenty of opportunities for fishing, rafting, hiking, and more. Wherever you plan to adventure in the area, you’ll need a great car to get you there. Thankfully, you can find one at the Volkswagen dealer near Provo, at Volkswagen SouthTowne. For the best hiking that Provo has to offer, check out the U Trail. This steep trail up Y mountain will provide you with a rewarding view over Provo and Utah Lake once you make your way to the top, which lies at a 980-foot elevation. At the top, you’ll find the giant Y, the largest collegiate symbol in the US, which stands an impressive 380 feet high, and is lit up for special BYU gamedays and activities. Take a weekend afternoon to head to Provo River for some exciting rafting, either guided or unguided. Swift water and moderate rapids bring thrill to your ride down the river, which is nestled into the beautiful Provo Canyon for a gorgeous scenic experience. Whether you’re looking for a simple sedan like the ever-popular Jetta, or a capable SUV like the Tiguan, there’s a variety of options on our lot. Find it by taking a trip to our showroom at our dealership near Provo, or check out our Volkswagen inventory listings on our website. 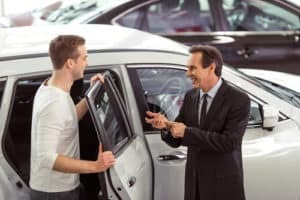 You can browse our selections by using our helpful filters to narrow in on the models best suited to your needs by choosing the price, engine power, and mileage that you’d like your car to have. Once you find a few models that you’d like to learn more about, let us know, and we’ll help you set up a test drive. You’ll be able to get behind the wheel for yourself and see what the car can do for you. Pay attention to important factors such as how comfortable your seat is and how easy it is to maneuver the vehicle. Even after you’ve driven your car home with you, you can always come back and visit us to get the service or repairs that your car may need throughout its life. Our team of talented technicians can help you keep your car in like-new condition for years into the future. They’ll provide you with the oil changes, tire rotations, and even complex engine repairs that your car needs. Visit Your Provo VW Dealership Today! If you’re ready to begin your search for a car that you’ll love, head to Volkswagen SouthTowne to get started. 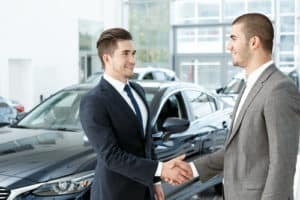 Our team will help you navigate the process of purchasing a new car, from the research process to the first drive home. Contact us today to schedule a test drive or to ask any questions that you may have. We can’t wait to help you find the car of your dreams!